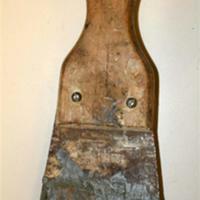 Wood handled putty knife with steel blade. 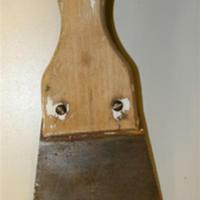 Marked with "Made in Italy"
Wood handled putty knife with a gray residue on it. 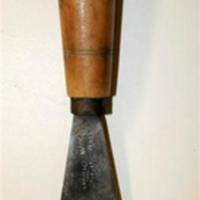 Wood handled putty knife with angled blade. 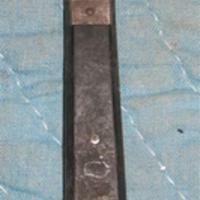 Wood handle with wide metal blade and some plaster residue.